With a sheen to capture all types of lighting, our Lamours fit any event. 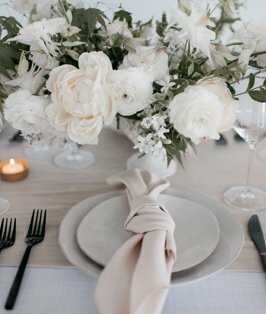 Available in matching chair covers and napkins, each celebration will be unique to the luster found with these round and square table linens. One of the three primary colors, Sapphire blue is a shade of royal bright blue to take from jewelry to celebrations. Also, with tablecloth sizes unparalleled in our industry, you will find the ideal size in the perfect hue.